Microsoft has announced Microsoft Launcher 5.0 and one of the most interesting features introduced by it is the arrival of Timeline on smartphones. Originally announced in May, Timeline is now available as a preview feature on Microsoft Launcher 5.0 for Android, and will soon be available on iOS too. Timeline lets you resume tasks from the point where they left off by going back in activity history, such as opening a web page that you viewed a few days ago, or opening documents that you were working on yesterday, without having to hunt for the file. With Timeline’s arrival on smartphones, users can access their PC’s timeline on their Android or iOS device via the Microsoft Launcher. 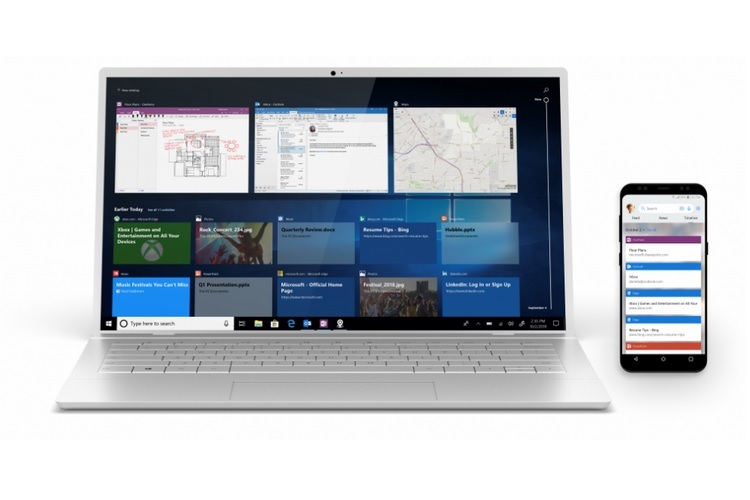 When you are signed in with the same Microsoft account on your smartphone and PC, the activity Timeline on both the devices will sync to provide a seamless experience. The idea is that it lets you jump back to any point of time in your workflow without losing out on any program data. For example, if you open a file on the OneDrive app on your smartphone, you’ll see the activity record on the Timeline log of your PC. Moreover, the Timeline feature is also compatible with the Microsoft Office suite of apps if you have them installed on your smartphone. So you can quickly resume work on cloud-saved documents or spreadsheets. In addition to Timeline, Microsoft Launcher 5.0 also introduces a new section for the News area which can be populated with the specific type of news based on your areas of interest. The Glance section of the launcher has been redesigned and allows users to add custom widgets to the section. Microsoft Launcher’s latest build is now rolling out to users who are part of the beta program and will be available via the stable channel in the upcoming weeks.